With unparalleled surface anatomy, removable parts, and nearly 200 structures to examine and identify, this lifelike model can enhance your lessons on the nervous system and human musculature. The cranium of the 3/4-life-size model can be removed, revealing the interior structure of the skull, as can the brain, which can be further dissected into three parts. 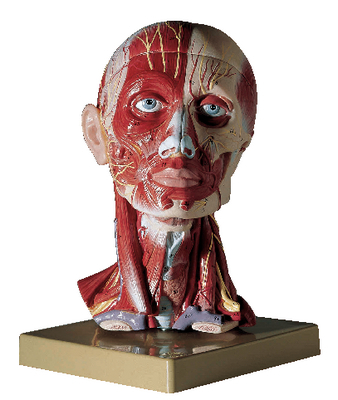 The five-part model is mounted on a base and can be removed for closer study.